Please note: this is a legacy website relating to the Student as Producer project from 2010 to 2013. This site is no longer being updated, but will remain available as a permanent record of the funded project. Student as Producer remains the underpinning principle for teaching and learning at the University of Lincoln. Formed in 2014, the Educational Development and Enhancement Unit (EDEU) leads on work to further embed and refresh the principles of Student as Producer. The Student as Producer project was led by Professor Mike Neary, building on his work in establishing the Reinvention Centre at the University of Warwick. Student as Producer restates the meaning and purpose of higher education by reconnecting the core activities of universities, i.e., research and teaching, in a way that consolidates and substantiates the values of academic life. The core values of academic life are reflected in the quality of students that the University of Lincoln aims to produce. Student as Producer emphasises the role of the student as collaborators in the production of knowledge. 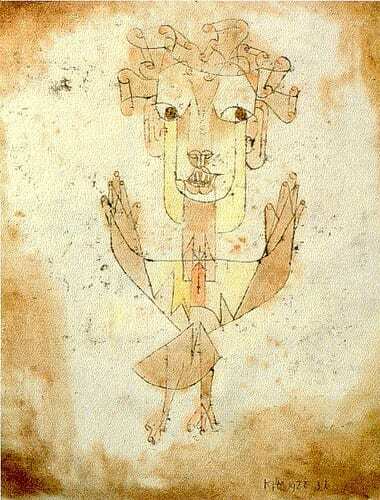 The capacity for Student as Producer is grounded in the human attributes of creativity and desire, so that students can recognise themselves in a world of their own design. 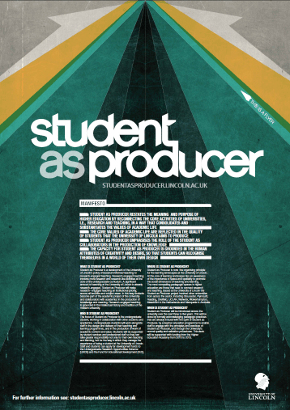 WHAT IS STUDENT AS PRODUCER? Student as Producer is a development of the University of Lincoln’s policy of research-informed teaching to research-engaged teaching. Research-engaged teaching involves more research and research-like activities at the core of the undergraduate curriculum. A significant amount of teaching at the University of Lincoln is already research-engaged. Student as Producer will make research– engaged teaching an institutional priority, across all faculties and subject areas. In this way students become part of the academic project of the University and collaborators with academics in the production of knowledge and meaning. Research-engaged teaching is grounded in the intellectual history and tradition of the modern university. WHO IS STUDENT AS PRODUCER? 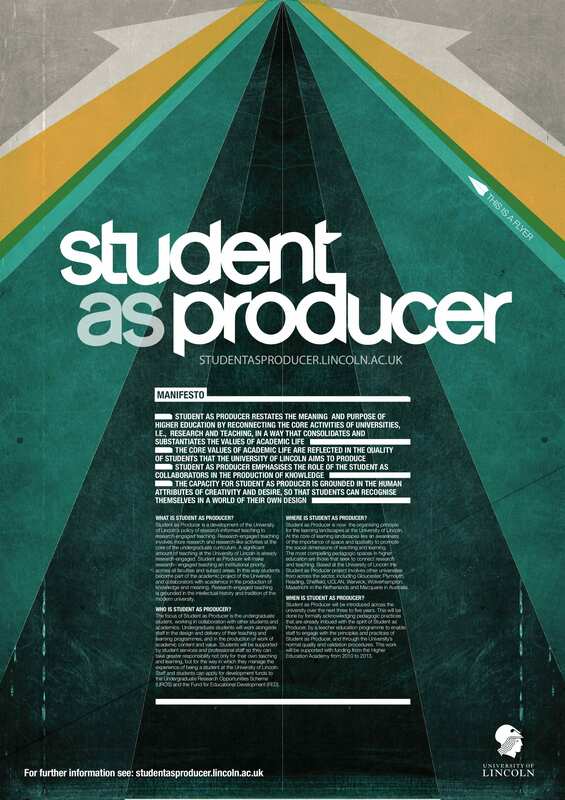 The focus of Student as Producer is the undergraduate student, working in collaboration with other students and academics. Undergraduate students will work alongside staff in the design and delivery of their teaching and learning programmes, and in the production of work of academic content and value. Students are supported by student services and professional staff so they can take greater responsibility not only for their own teaching and learning, but for the way in which they manage the experience of being a student at the University of Lincoln. Staff and students can apply for development funds to the Undergraduate Research Opportunities Scheme (UROS) and the Fund for Educational Development (FED). WHERE IS STUDENT AS PRODUCER? Student as Producer is now the organising principle for the learning landscapes at the University of Lincoln. At the core of learning landscapes lies an awareness of the importance of space and spatiality to promote the social dimensions of teaching and learning. The most compelling pedagogic spaces in higher education are those that seek to connect research and teaching. Based at the University of Lincoln the Student as Producer project involves other universities from across the sector, including Hertfordshire, the University of Central Lancashire, Warwick, Vanderbilt University in the US, the University of British Columbia in Canada and Macquarie University in Australia. WHEN IS STUDENT AS PRODUCER? Student as Producer has been introduced across the university since 2011. This has been done by formally acknowledging pedagogic practices that are already imbued with the spirit of Student as Producer, by a teacher education programme to enable staff to engage with the principles and practices of Student as Producer, and through the University’s normal quality and validation procedures. This work has been supported with funding from the Higher Education Academy from 2010 to 2013.